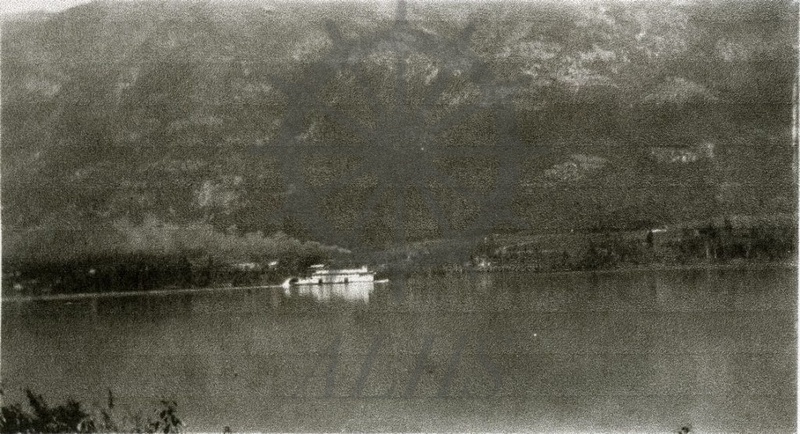 SS Minto (erroneously labelled on rear as "Bonnington" sailing on The Narrows, Columbia River, Grahams Landing, 1928. 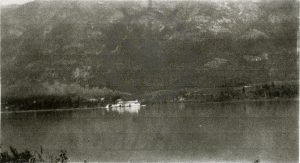 Inscription: '"Arrow Lake B.C." Boat that took us [to] Grahams Landing'. Photo by parents of Lois Scott.